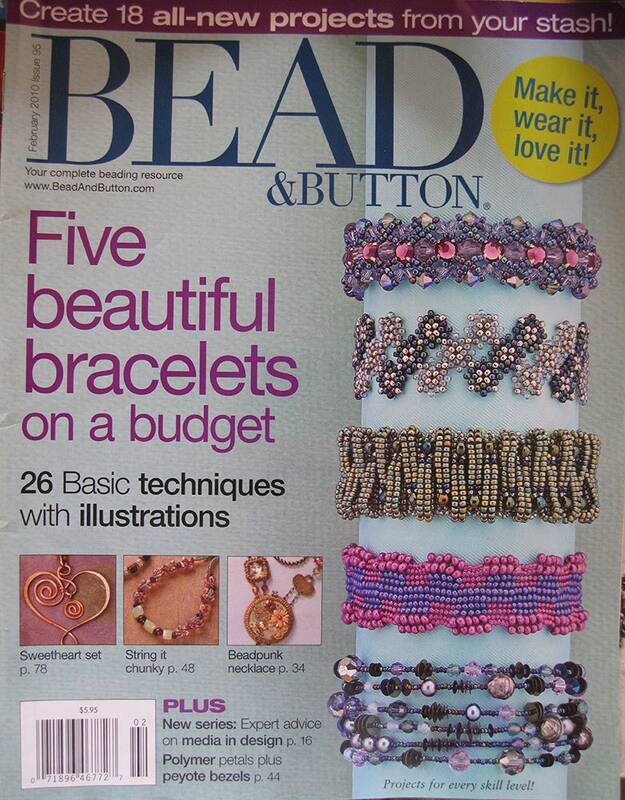 In this February 2010 issue of Bead and Button Magazine create 18 all new projects from your stash; five beautiful bracelets on a budget; 26 basic techniques with illustrations including a sweetheart set, chunky set and bead punk! Plus new series - expert advice on media in design; polymer petals and peyote bezels! Chain of rings - stitch right angle weave through hammered rings for a necklace that looks like chain mail. Layered loops - work a herringbone bracelet band and add strips of embellishment for a basket weave effect. Galaxy bead - join peyote panels to create beaded beads you can string on a necklace. Just riveting - cut, texture and rivet metal bead caps to set off a stunning focal bead. And more!! !